The smarty-pants set over at Harvard and MIT need brain food, and the myriad restaurants in Central Square are more than up for the challenge. Along this uniquely Cantabrigian stretch of Mass. Ave lies a unique hub of cafés, bars, and restaurants, serving up everything from the height of comfort food (cheesy waffles, anyone?) to health-conscious grain bowls. 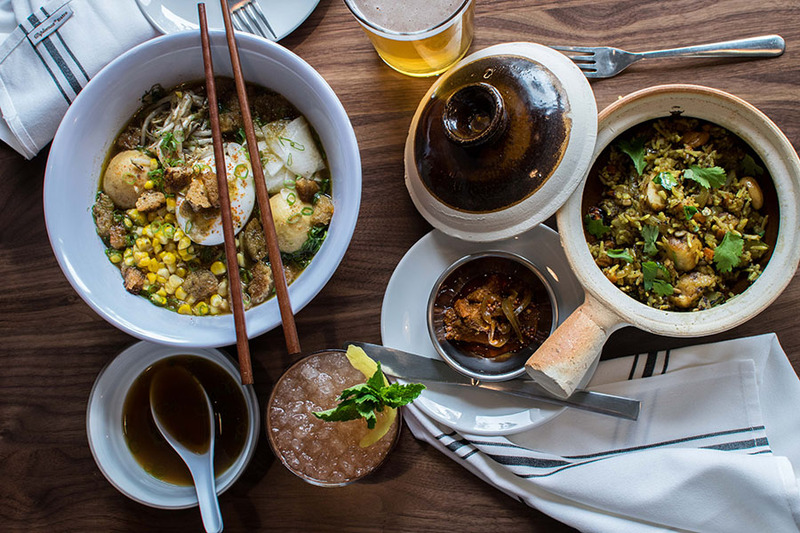 Here’s our indispensable guide to 15 best restaurants in Central Square—no degree required. It’s like being a kid again—only now, you’re allowed to drink. 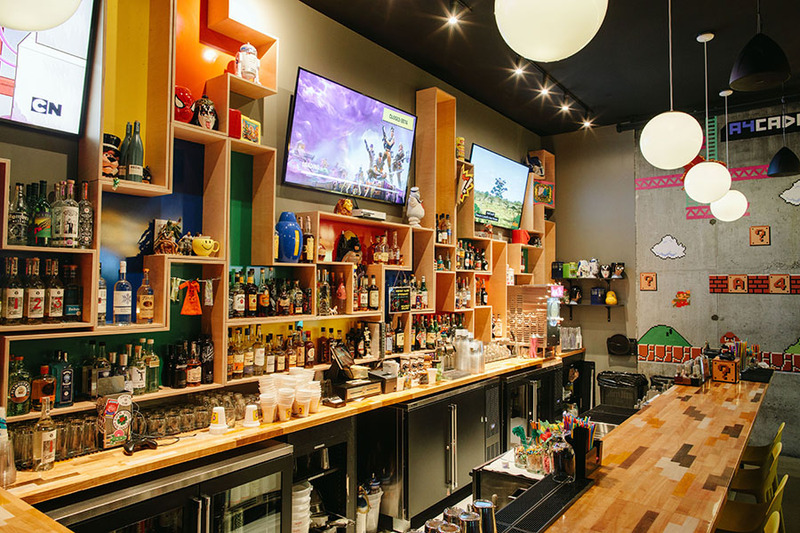 At the back of Roxy’s Grilled Cheese, what looks to be a walk-in fridge is in fact a portal to a 21-plus world filled with arcade games and retro-geek memorabilia, and cocktails to match. Fans of Mean Girls will love the “You Go Glen Cocoa!” (a drink off the so-called “kid’s menu” that combines rum, cold brew, chocolate, chartreuse, and coconut), while Mario Kart fanatics will finally get to enjoy a Rainbow Road (Sipsmith gin, sour watermelon, and grapefruit) without having to worry about any strategically placed banana peels or nasty blue shells. 292 Massachusetts Ave., Cambridge, 617-714-3960, areafour.com. Blink, and you might just miss the entrance to this modern-day speakeasy. An unmarked door beside Central Kitchen leads up to U-shaped bar topped with glowing copper and offerings that pay tribute to the dizzying debauchery of Studio 54—complete with a turntable. Wash down those crispy duck confit fries and platters of East Coast oysters with such cocktails as the mezcal-spiked Disco Nap, and enjoy the music played the way all hipsters know it should be: on that sweet, sweet vinyl. 567 Massachusetts Ave., Cambridge, 617-491-0016, brickmortarltd.com. It looks like a dive bar because it is a dive bar—one of the best, in fact. Boasting wallet-friendly prices, no-frills trappings, generous hours (first call comes as early as 8 a.m.! ), and a packed roster of live music, the Cantab has cemented its place in Cambridge. With nightly performances, you can be sure that something interesting is always happening in the lounge whether it be bluegrass bands, classic soul, or open mics and poetry slams. 738 Massachusetts Ave., Cambridge, 617-354-2685, cantab-lounge.com. Proud owner of the longest-standing liquor license in Cambridge, Green Street helped usher in Boston’s craft cocktail revolution—and continues to offer drink selections from “A” (Aqueduct, a margarita-esque classic straight out of the Mr. Boston bartenders’ guide) to “Z” (Zombie, the ever-reliable rum-drenched tiki drink). Those simply looking for a nice, cold craft beer will also be delighted, as the menu features a regular rotation of IPAs, stouts, and Massachusetts-made suds. 280 Green St., Cambridge, 617-876-1655, greenstreetgrill.com. Amid such quintessential Cambridge watering holes as the Field, the Plough and Stars, and the Cellar, the Peeps’ Reep holds its own. Its theme: The Communist Party—and everyone’s invited. 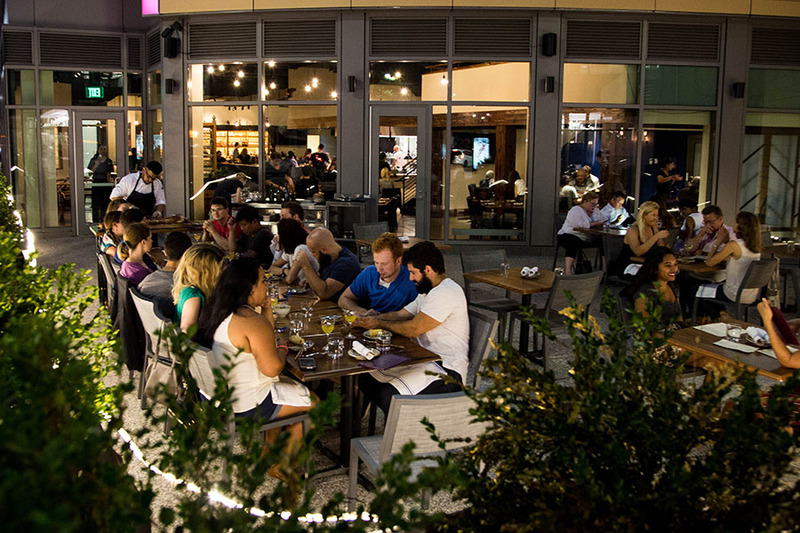 It’s the kind of place where students can come to debate the philosophy of Kant or the ethics of CRISPR while downing beers (chased with $7 Putin Riding Pickleback shots) or such Cold War-evoking cocktails as the Manhattan Project and the Gorby Gimlet. Propaganda posters and the giant boot hanging from the ceiling nicely complement the bar’s striking Hammer and Sickle red-and-yellow exterior, making it a spot you can’t (and shouldn’t) miss. 876-878 Massachusetts Ave., 617-491-6969, peoplesrepublik.com. 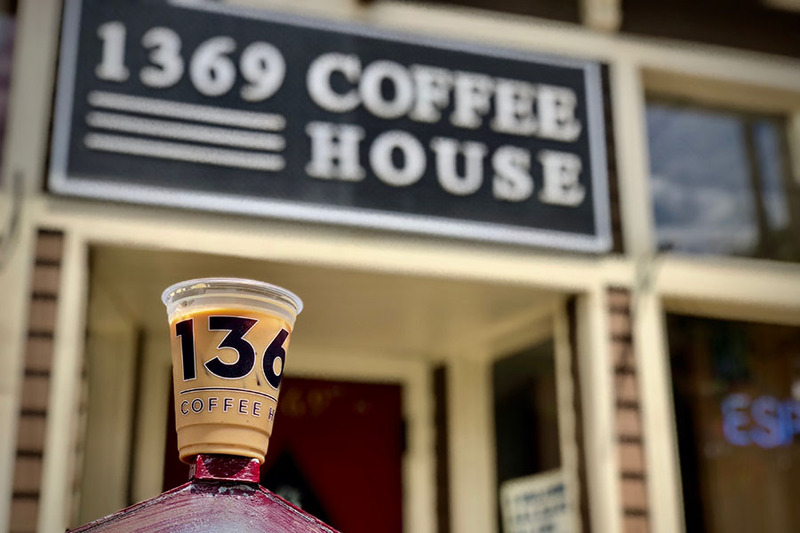 With inventive homemade syrups such as lavender, indie music reverberating through the speakers, and local art hanging for sale on the walls, everything about this long-standing shop (unobtrusively) screams inspiration. Stroll in at any time of day, and you’ll find the cozy café filled with people lost in a book or plugging away on their laptops—all with a fresh coffee in hand, of course. 757 Massachusetts Ave., Cambridge, 617-576-4600, 1369coffeehouse.com. What do you do when it’s 4 a.m. and you’re absolutely dying for a veggie-meatball sub? The answer is simple: Go to this outpost of Clover, which serves up sandwiches topped with convincingly meaty Impossible faux-beef and other veg-friendly fare around the clock. Conveniently located directly across from the Middle East Nightclub, Clover’s 24-hour Central Square outpost offers free meals to bands after their shows—so you might just catch your favorite musician chowing down on a BBQ seitan platter with a side of rosemary fries. 496 Massachusetts Ave., Cambridge, cloverfoodlab.com. Leave it to a coffee shop on Ivy League turf to invent a new way to caffeinate: Darwin’s prides itself on having pioneered a special conical brewing system to achieve “pour-over flavor, without the pour-over wait.” For those who prefer to unwind, Darwin’s also puts its signature java to use in a menu of coffee cocktails—including a Negroni made with Kyoto cold brew—to help you end the day right (after 5 p.m., of course). Another way to treat yourself? Indulge your sweet tooth with the “Big Mac:” a soft and chewy almond cookie half-dipped in milk chocolate. 313 Massachusetts Ave., Cambridge,617-497-1000, darwinsltd.com. The menu might be full of items with names like “the Goddess” and “Crunchy Hippie,” but you don’t have to be a yogi to enjoy Life Alive’s bowls, salads, and smoothies. This health-conscious café serves up dozens of vegan and vegetarian options from their Central Square outpost (now one of four), invitingly decorated with saffron-yellow walls, purple trim, and plants framing the wide windows. Even if kelp and nutritional flakes aren’t exactly at the top of your “to try” ingredient list, Life Alive somehow transforms them into crave-worthy dishes that’ll keep you coming back for more. 765 Massachusetts Ave., Cambridge, 617-354-5433, lifealive.com. With the dream team of chef Rebecca Arnold and Roxy’s Grilled Cheese founder James DiSabatino at the helm, it’s no wonder Whole Heart Provisions is expanding their reach. 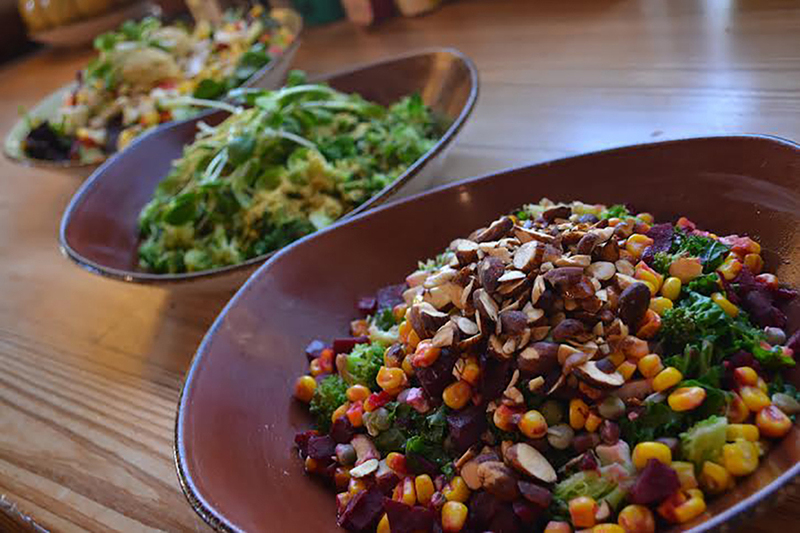 This new Central Square location first opened its doors in April, boasting bright decor and brand-new menu items, including the cool-as-a-smashed-cucumber Levant bowl and the jalapeño-hot Kaya. 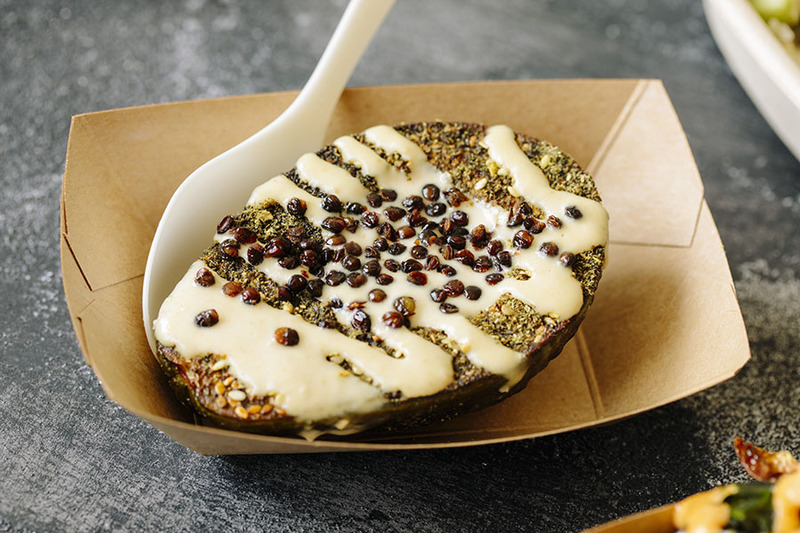 But don’t worry—you can still get such fan favorites as the Cassie (a savory combo of eggplant, pickled cauliflower, and chickpeas), not to mention those addictive seared avocados and crispy falafel dogs. 298 Massachusetts Ave., Cambridge, 617-945-8991, wholeheartprovisions.com. The menu may change daily, but a reliable constant at Craigie on Main is the talent of chef Tony Maws, whose recent cameos include not only Boston magazine and Bon Appétit but also Chopped Grill Masters. 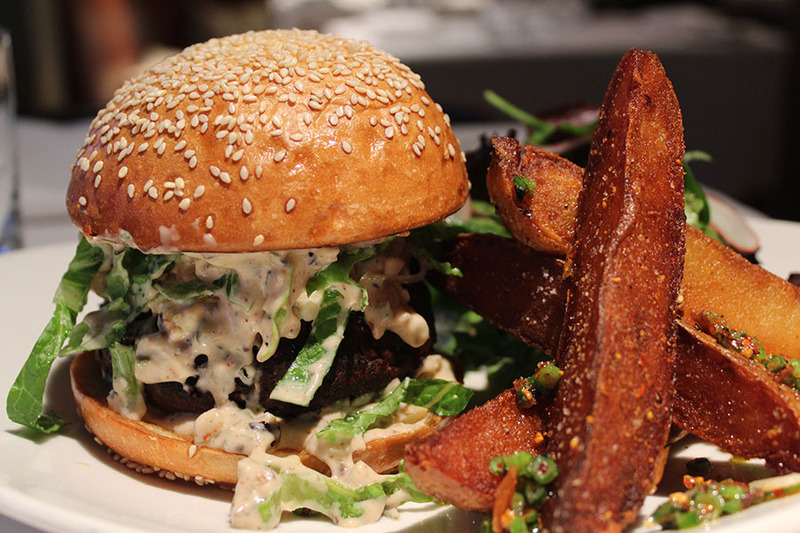 While his French-American repertoire makes for flawless renditions of roast lamb and poached halibut on the dining room’s nightly tasting menus, the famous umami-packed Craigie beef burger (and seasonal rotating burger specials) still steals the spotlight every night at COMB (Craigie on Main Bar). Need a quick island getaway? The only thing missing here is white sand and aqua-blue waves. This award-winning Caribbean restaurant, lounge, and nightclub promises a lively night of Latin and Caribbean cuisine as well as energetic music from across the globe. No matter what’s happening on the dance floor, however, the real showstopper of the night is sure to be their rum-flamed rice brought to you ablaze. Also not to be missed: the empanadas and those porktastic Cuban sliders. 450 Massachusetts Ave., Cambridge, 857-706-1125, lafabricacentral.com. Little Donkey, big flavor. Serving up everything from burgers to pho (with pupusas and lobster fra diavolo somewhere in between), James Beard Award-winning chefs Ken Oringer and Jamie Bissonnette give wannabe world travelers the chance to trot the globe while still eating local. The restaurant’s freewheeling eclecticism even shines through in the raw bar selections—look no further than the fluke ceviche, a dish that flashes nikkei (Japanese-Peruvian) flair by adding a dash of ají amarillo and yuzu. And local oenophiles can learn the true meaning of “Vino Veritas” with wine director Jodie Battles, whose curation of pét-nats and other gems is always on the menu. 505 Massachusetts Ave., Cambridge, 617- 945-1008, littledonkeybos.com. What do spiced-pork croquetas and pork belly bao have in common? They’re both stars on the menu at Pagu. With her inventive Japanese/Spanish fusion, chef Tracy Chang’s menu brings a level of experimentation to Central Square that you don’t have to be an MIT alum to enjoy. 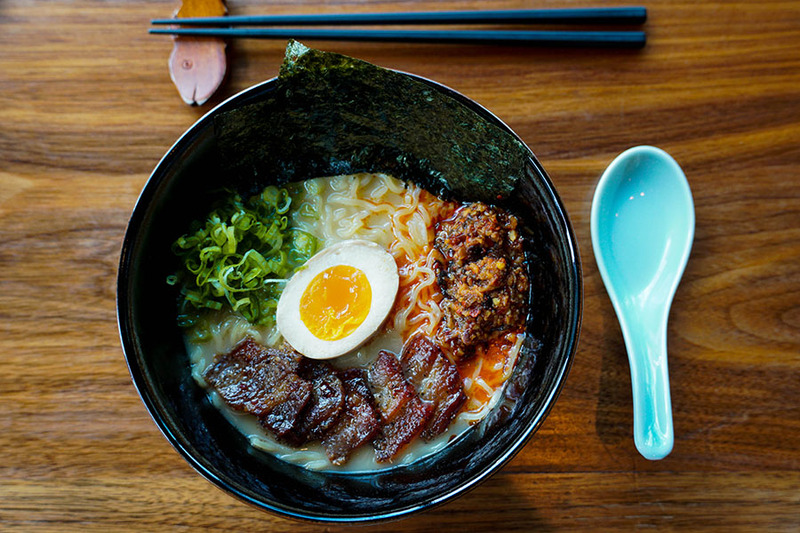 Though you can order her famed Guchi’s Midnight Ramen at any time of day, Pagu also offers a morning menu that keeps with Spanish and Japanese entanglement. Brunchers tired of the typical egg sandwich can shake things up with the cheesy, egg-and-avocado-topped potato “wafflato” every weekend, too. If the radiant peacock mural beckoning customers at the entrance doesn’t make you want to try Pammy’s, maybe the Bon Appetit Hot 10 nomination or their 2018 Best of Boston Best New Restaurant win will. 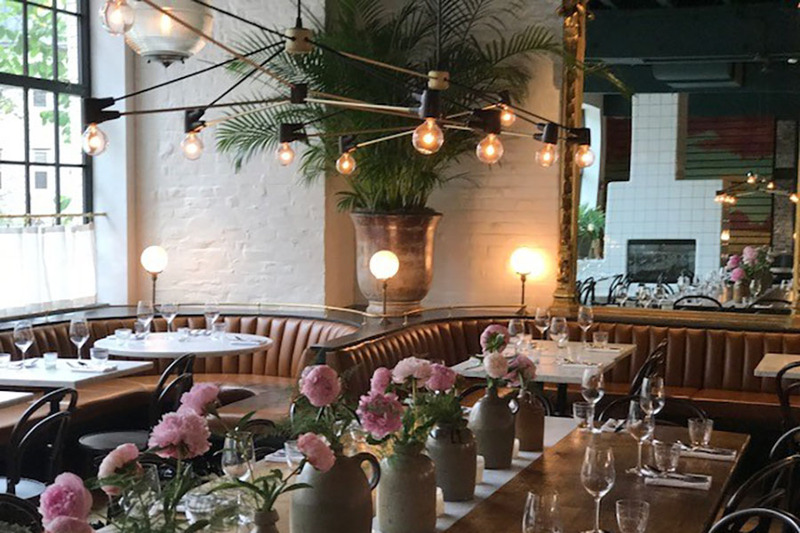 The vibrant energy of the restaurant shows in everything from the cheery lighting and decorative flora to the friendly service by wife-and-husband team Pam and Chris Willis—and, of course, the delectable New American menu. Make new friends at the communal table while tucking into a platter of lumache adorned with gochujang-spiked Bolognese, or cuddle up in a booth with your date and share the blueberry crostata with mascarpone ice cream. 928 Massachusetts Ave., Cambridge, 617-945-1761, pammyscambridge.com.